As we have said in previous posts in this blog – we love to travel all over the world, and especially in the US we have traveled a lot. One thing that we love the most traveling in the US is of cause the nice people and the beautiful country but also the fact that you can get so much different and interesting food. It is always possible to find some quick and delicious food whether it is for breakfast, lunch, dinner or just an afternoon snack. 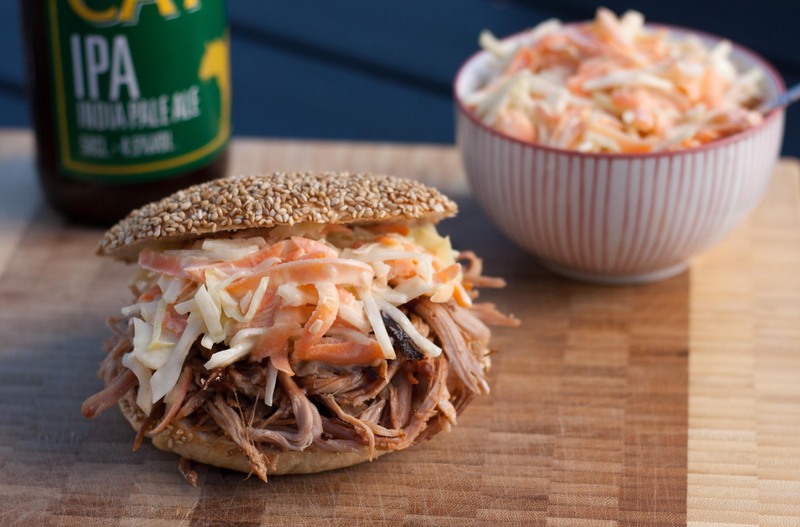 One thing that the American chefs are so good at is making the perfect pulled pork meat. 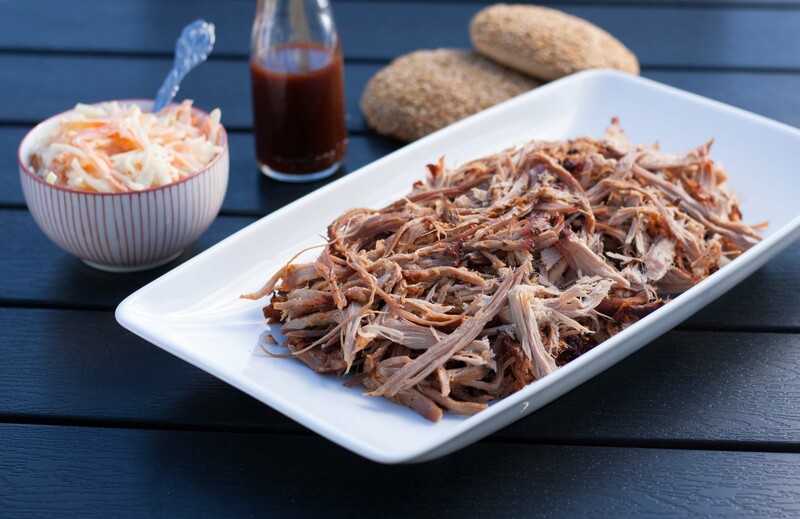 Pulled pork has been around in the US for some time – and we understand why, it is just super delicious! After the slow cooking time the meat gets perfectly tender and super juicy. 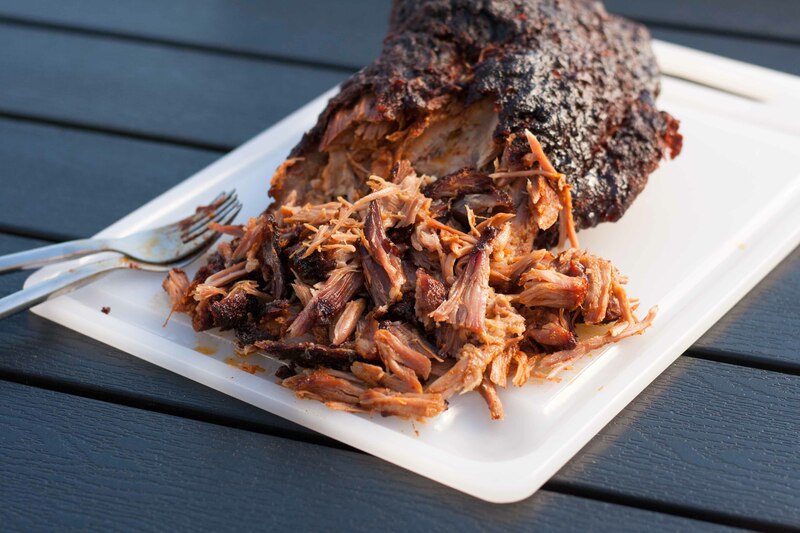 During the resent years pulled pork has become very popular in Denmark – so of cause we have tried making it ourselves, and with great success. 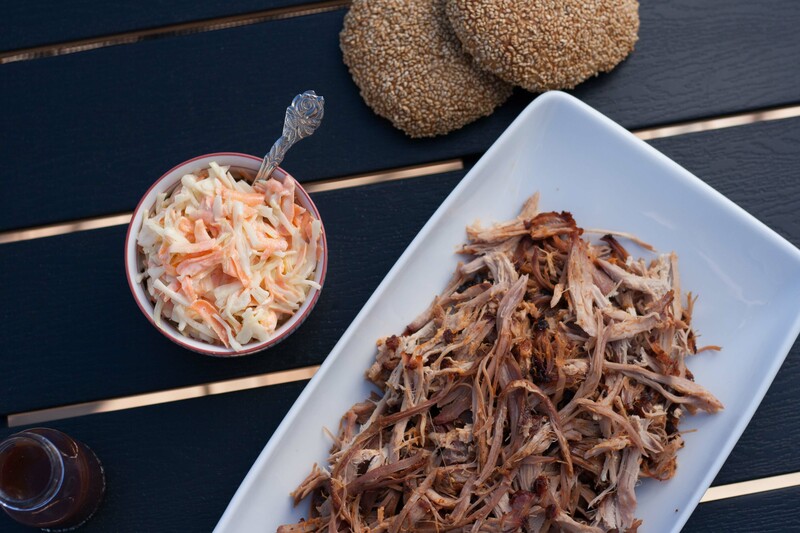 In general pulled pork is relatively simple to make, it just takes a lot of time. The recipe in this page is the one we have used several times. The three major steps in the recipe is letting the meat rest in a brine for about 10 hours, let it rest covered in spices for about 10 hours and finally cook it for about 10 hours – pretty simple, it only takes a bit of planning. 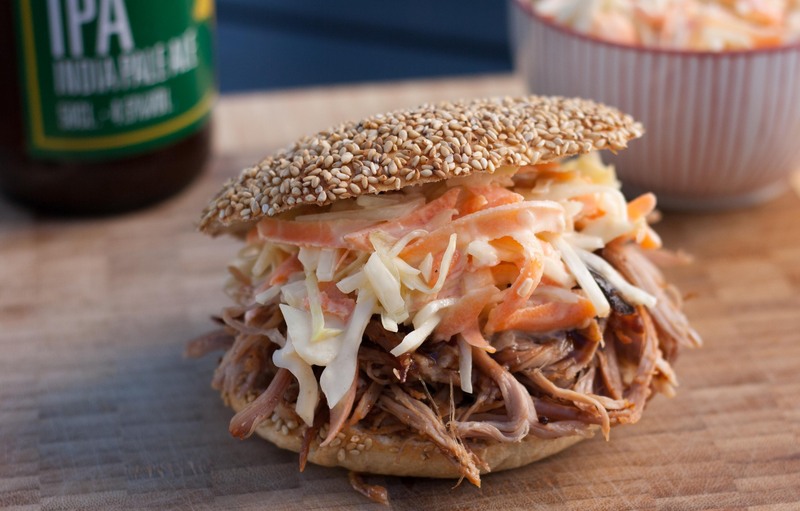 We always serve the pulled pork meat with our homemade burger buns and some homemade coleslaw. We would also like to recommend our recipe for pulled chicken. Pulled chicken has a similar consistency and taste as pulled pork. However, it contains less fat and is not that time consuming compared to pulled pork. Both recipes are super great and differently among our favorites. Step 1: Trim the pork shoulder cut from the worst tendons and fat. 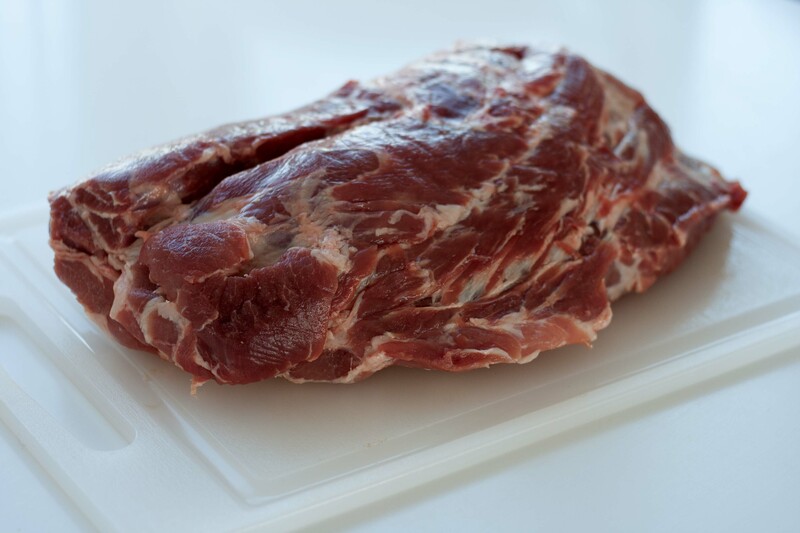 However, do not remove all the fat – this is what gives the delicious taste to the meat. Step 2: Make a water and salt mixture (brine) in a large bowl or an ovenproof dish. Stir/whip until all the salt is dissolved and place the meat in the brine. Make sure that all the meat is submerged in the brine. 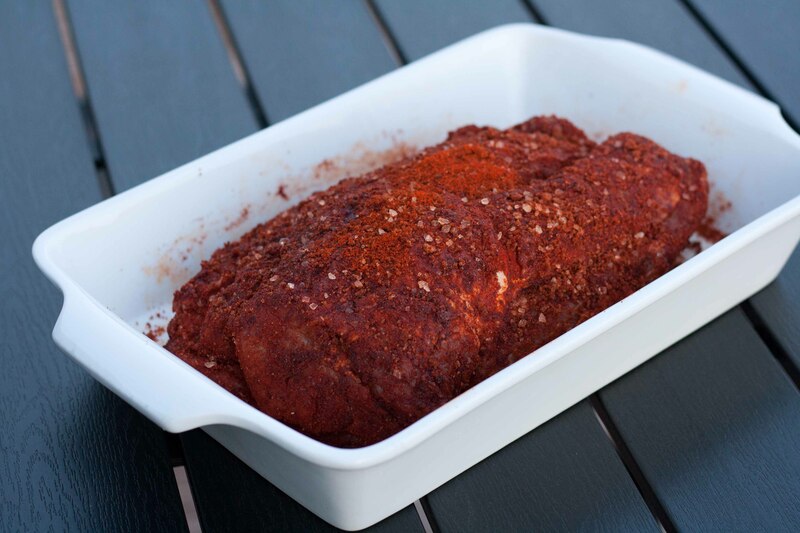 Place the ovenproof dish/bowl with the meat in the fridge for at least 8 hours – 12 hours is preferred. Step 3: Take the meat out of the brine and dry it gently with some kitchen towel. Step 4: Mix all the spices for the dry rub in a small bowl. Use your hands to rub the spices well into the meat. Make sure that all the meat is covered with the spices. 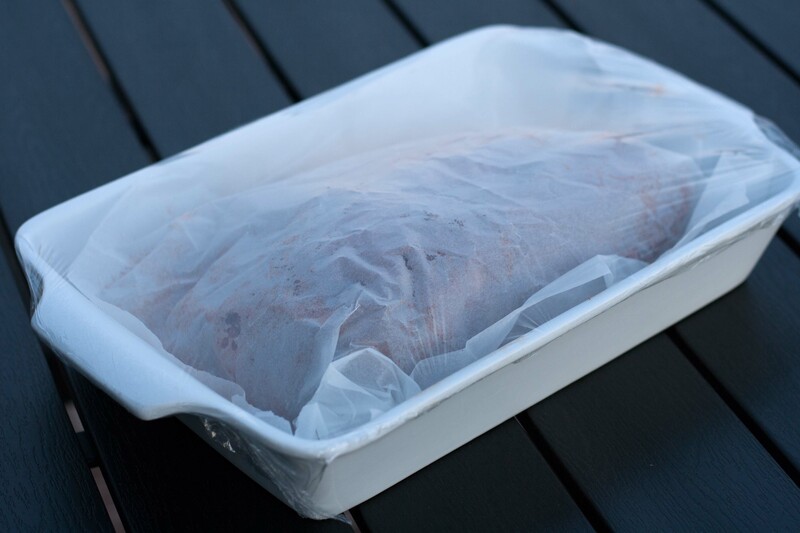 Step 5: Place the spice covered meat in a plastic bag, close the bag and place it in the fridge for about 8 – longer is preferred. Step 6: Turn on the oven at 105 C (215 F) and place the meat at the center position. The cooking time is about 12-14 hours or until the core temperature is about 95 C (203 F). When it has the right temperature you can take the meat out and use a fork to pull it apart. If you are up for it you can cook the meat in a grill – the cooking time is about the same. Just remember to check the temperature regularly. Step 7: Mix the brown sugar, apple vinegar, ketchup, chili, salt and pepper into a nice BBQ-sauce. Pour some of it unto the pulled pork and serve the rest with the meat, some homemade burger buns and coleslaw.